Our facial treatments range from basic to five star, depending on what kind of service you need. All treatments include a free skin analysis by our licensed Esthetician to ensure that you’re getting the best treatment for your skin type. If you’re unsure about which type of facial is right for you, our friendly staff will be happy to help you decide. This express treatment uses our professional range of products and incorporates aromatic essential oils and plant extracts design to clean, purify and heal the skin. When you leave, your skin will feel fresher and look healthier and brighter. This treatment is designed to leave your whole face feeling revitalised by focusing on each area individually as well as tailoring it to your skin type. It includes a double cleanse, exfoliation, face massage, mask, moisturiser and eye cream application. This treatment will leave your skin with a fresh, glowing look. The purifying facial is an exfoliating treatment using a soothing A.S.A.P (Australian Skin Active Product) mask to refresh and revitalise the skin to give you a healthy and balanced complexion. This treatment is designed specifically to treat oily and acne prone skin as well as problems such as congestion and dull skin. You’ll leave with cleaner, more balanced looking face. The Instant Eye Repair Treatment – this unique treatment targets sign of aging and tiredness around the delicate eye area, including fine lines, wrinkles, puffiness and dark circles. Using expert combination of machine technology, a specific hand-on massage designed eye mask soaked in a concentrated skin repair serum for maximum effectiveness. This session is all about de-stressing with a facial massage using essential oils followed by a refreshing peel mask. It is designed specifically for when you need to relax and remove the appearance of stress and tension from your face. You’ll come out feeling and looking more relaxed. This session treats all the immediate signs of aging on your face, such as wrinkles and fine lines, loss of firmness and lack of radiance. This 4-part treatment features Dermabrasion exfoliating cream resurfaces the skin and eliminiates dead skin cells, followed by a powerful Vitamin C to stimulate the synthesis of collagen and provides antioxidant action for exceptional radiance, Hyaluronic Acid filler spheres to smooth away wrinkles and Pro-Collagen to stimulate the synthesis of collagen and fights against cutaneous slackening. Lift, tone and tighten your skin with our Radio Frequency & Red LED Light Therapy. Using advanced radio frequency & red LED light technology;heat is delivered to the skin accelerating the production of collagen and elastin with an immediate lifting and tightening for a healthier looking skin. This session involves a peel solution treatment that is made with a combination of fruit acids derived from apples, grapes and citrus and fruit enzymes extracted from pineapple and papaya. The fruit acids break down cellular links and gently detach dead cells and the enzymes break down cells to make them more digestible. Put simply, that means that after this facial, your wrinkles and fine lines will be diminished and your face will become more supple. You’ll also notice that your pigmentation spots will be lighter and your skin will look more luminous. 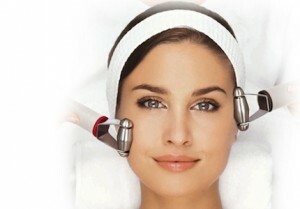 This treatment is for firming and tightening more mature skin. It combines thermal heat with a high concentration of Vitamin C, ginseng extracts and Pro Collagen to strengthen elasticity and firmness whilst stimulating cellular regeneration to improve your skin from deep within. This is one of the most popular facial in winter or dry weather. This technique uses Guinot’s advanced technology to provide your skin with longer lasting results. Hydradermie is a deep cleansing, exfoliating and hydrating treatment that cleans your pores deep within and increases circulation as well as oxygen in your skin cells. This five star treatment means the effects of the facial will last for longer, extending that fresh feeling and healthy look. Hot stone facial massage used the unique techniques to rapidly stimulates the nervous system to increase blood and lymph circulation, which help to restore damaged cells and improve the facial appearance, also firming, toning and excess fluid removal. Working beneath the eyes will diminish puffiness of the eyes and tension lines, and light pressure on the cheeks and nasal cavities will help clear sinus congestion. The Hydralift is the latest in non-surgical face lift technology. It is designed to lift and firm the features of the face naturally by stimulating your own facial muscles. This is done by using micro-currents to penetrate the surface of the skin in order to drain unhealthy toxins. The end result is tighter, more toned and younger looking skin. 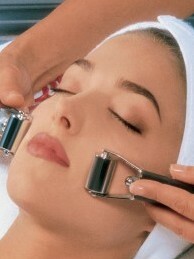 ~ A complimentary AHA peel facial treatment included ~ This facial is the ultimate in fast and effective skin treatment. It involves the removal of the outer layer of dead skin cells from your face. It’s used to clean out the pores, decrease the look of pigmentation and sun damage on the skin as well as diminish lines, wrinkles and acne scars. This treatment includes a complimentary AHA exfoliating facial treatment, soothing mask and professional sunscreen application so you will get all your skin care needs in one go. When you’re done your skin will look fresh, clean and youthful. For full details on pricing or to book a facial, call us on (07) 3349 8313 or simply drop by to speak to one of our friendly staff members.